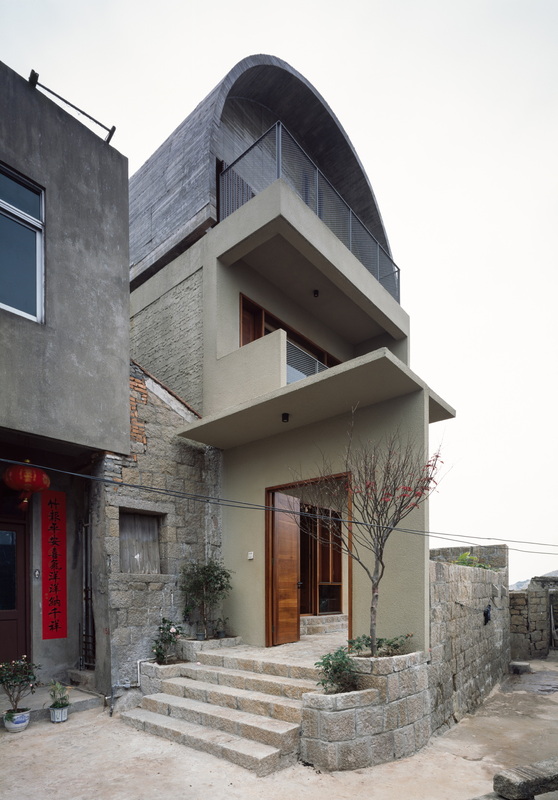 The Captain’s House, thus nicknamed by Vector Architects, who renovated the home, is a new house perched on the rocks of the eastern side of Huanggi Peninsula, extending out into the East China Sea. Built on a tongue of land at the tip of the peninsula, the concrete construction, no more than twenty years old, suffered from the erosive action of the sea and the damp climate. The original building was a two-level volume with a flat roof, like so many around it, with a concrete frame and big patios on both of the main walls, facing east toward the sea and west toward the road, the village and the port. The first step in the renovation project involved enlarging the original 12 cm concrete walls to reinforce a structure that suffered constant infiltration of water. The function and shape of the windows have been redesigned in relation to the external walls. The windows are not designed to be merely a source of light and air, but a true extension of the indoor space. They jut out from the walls to prevent excess rainwater from getting into the wooden frames. From the inside and from the outside, the windows become viewpoints over the sea, standing out particularly on the eastern side, which had previously been undervalued in this sense. The wooden frames, designed specifically for the home, have two parts, one large window for looking out, which cannot be opened, and a smaller part that opens to provide ventilation. Hollowed out and jutting from the thick walls, these deep frames become little benches to sit on and enjoy the view, or desks over the sea. They are partly outside and partly inside the home, making them filter spaces, like the numerous balconies or the patios on the eastern and western sides. This means there is no single plane of perspective, but a number of lines, set further forward or further back, forming the walls, and different points of view are created inside the home. Glass walls and perspective views organise the spaces of the planes, so that different spaces penetrate and complete one another. 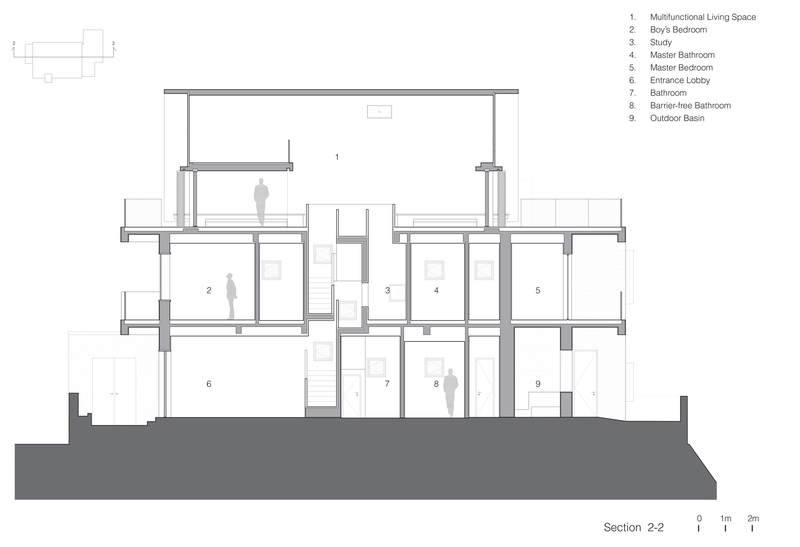 Thus the entrance opens up onto the living room on the ground floor, while the first-floor study opens onto the staircase and the big living area communicates with the balconies. 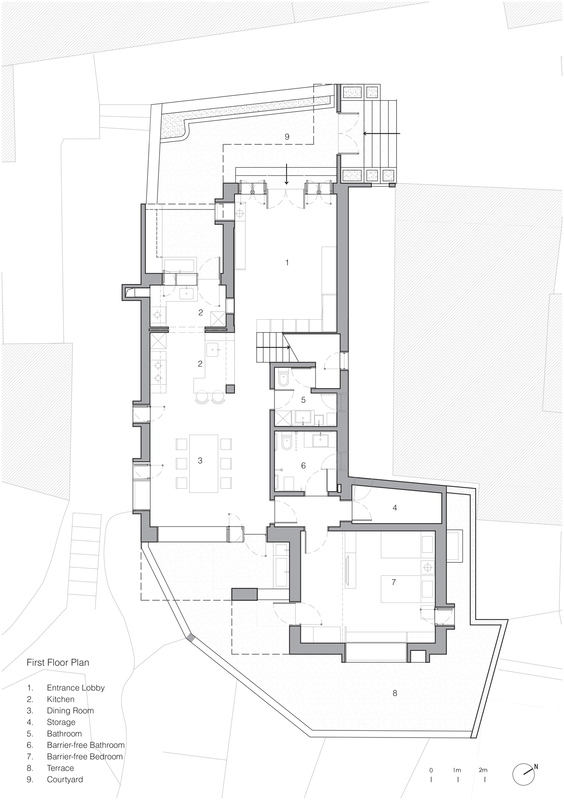 The bathrooms, originally on the side of the building facing the sea, are moved into the centre of the floor, so that the bedrooms and living room can have good views and plenty of light. The top floor, a new addition, stands out clearly from the original structure. 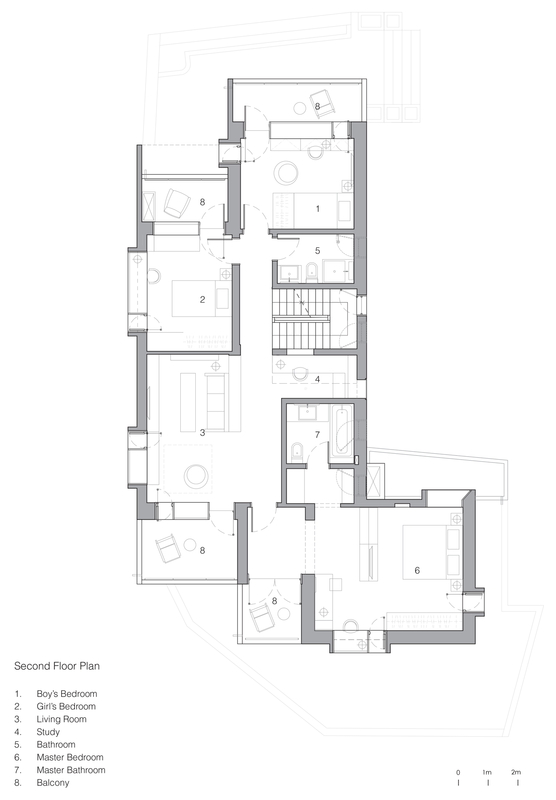 This is why Vector has created a single space of double height with a mezzanine and a vaulted ceiling. This space has no divisions, so it can be used for a variety of purposes: as a guest apartment, a gym or even a family chapel. The vaulted roof of unfinished concrete reduces the problem of infiltration of water and adds personality to the home, ensuring that it stands out from the monotonous series of apartment buildings and houses around it. In addition, its two glass walls ensure that this floor has two sea views, one of the rocks and one of the harbour, acting as a bridge with the building’s surroundings. 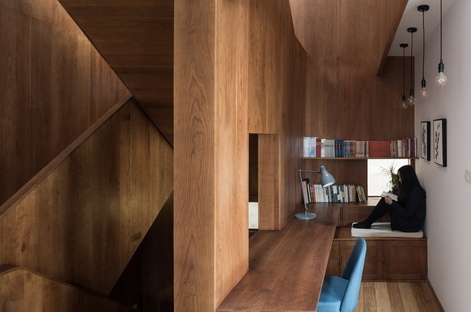 Climbing to the mezzanine, to the south, is the highest window, which looks as if inspired by the bow of the crow’s nest of a ship, the aerial platform between two spars that allows the look-out to see as far as the horizon.